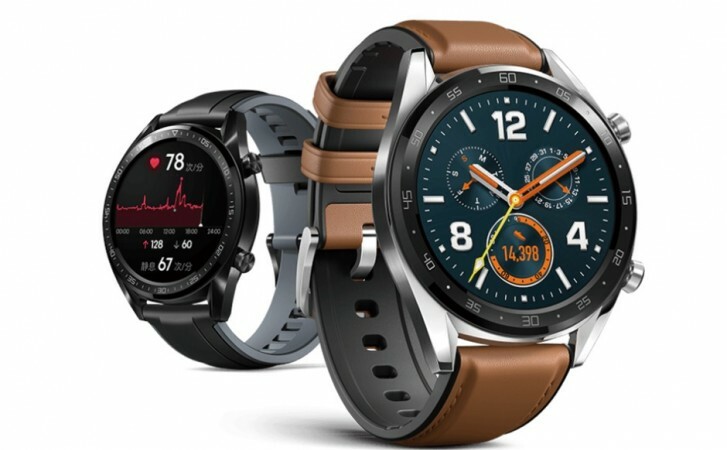 The Huawei Watch GT and Band 3e are now available for purchase in India through Amazon.in. The Watch GT is offered in two versions - Sports and Classic. The former costs INR15,990 ($232) whereas the latter costs INR16,990 ($247). The Band 3e, on the other hand, carries a price tag of INR1,699 ($25). As a part of the launch offer, Huawei is offering a pair of Bluetooth earphones worth INR2,999 ($44) for free on purchasing either version of the Watch GT. The Watch GT smartwatch comes with a 1.39-inch AMOLED display and is made up of 316L stainless steel. It can track activities like running, swimming, cycling, and trekking. The smartwatch has a heart rate monitor in tow and its 420 mAh battery can last for two weeks if you use it for 1.5 hours a day. Other features on the Watch GT include a built-in GPS and water resistance. Talking about the Band 3e, this fitness tracker comes with two-week battery life and is water resistant up to 50 meters. It sports a 0.5-inch POLED display and comes with a feature called Footwear Mode that provides precise running data when you attach it to your shoe. It's similar to the Foot Mode on Honor Band 4 Running Edition. If in case you are using heart rate monitor and GPS for 1.5 hours per day and using rest of the day(Means 22.5 hours per day) as a normal watch then battery life will stands for least 2 weeks.